Getting to know classmates can make the classroom more comfortable. Whether you are starting your first day at kindergarten or at college, starting a new school and making new friends can be intimidating. In order to make the process of getting to know classmates smoother and easier, teachers can integrate parties that encourage the students to become acquainted with each other. This in turn promotes a comfortable educational environment. Choose a theme for the party and encourage all the students beforehand to dress up in accordance to the theme. The themes can vary according to the age of the students but can range from zoo animals to 1980s to pop culture. Decorate the room in accordance to the theme and push all the desks to the outer corners of the room. This will promote socialization between the students in the center of the room. Play music and offer refreshments and snacks. This laid-back atmosphere will allow the students to socialize prior to starting class. 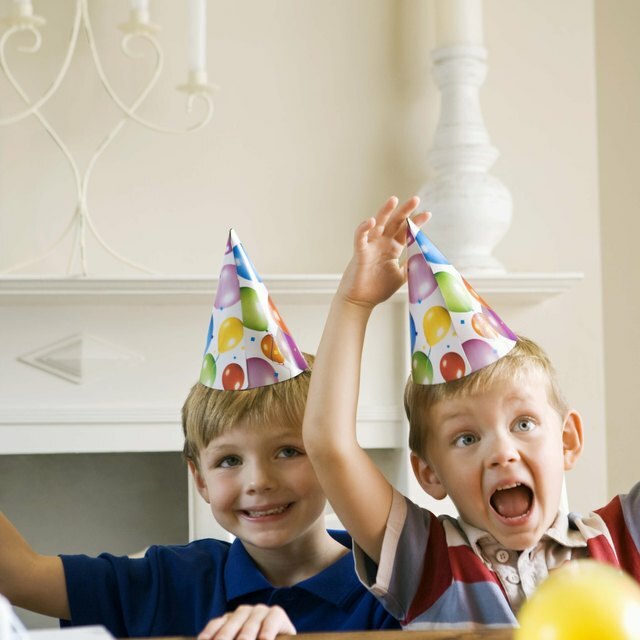 Collect a baby photo from each student prior to the party and display all the photos during the party. Encourage the students to inspect the baby photos and then reflect on the faces of their classmates to try and decide which photo belongs to which person. This will motivate students to make their way from person to person in the classroom and, thus, start conversations. At the end of the party, show each photo and ask for guesses as to who is who. Award a prize for each correct guess. As each student arrives, tape an index card with a character from a storybook, history or pop culture written on it on his back with the name facing out so others can read it. Do not allow the students to see their own cards. The students must then mingle with each other to try and determine their assigned character, since all the other students can read the card except the person wearing it. The students may ask questions to determine what their card says; however, they cannot directly ask "Who am I?" Instead they must ask probing questions, such as, "Am I real or fictional?" This will encourage socialization between the classmates in order to try and win the game. Print out a list of each student's name onto a worksheet and distribute them to the class. The students must mingle throughout the party and talk to every other classmate to determine one thing they have in common. Each student should have a common factor written for each classmate by the end of the party. The common factors can be anything except physical features. For example, they could both have the same favorite subject, they could have been born in the same town or they could both have mothers with the name Sue. By the end of the class every student will have gotten acquainted with the entire class. Barry, Michelle. "Acquaintance Party Ideas for Schools." 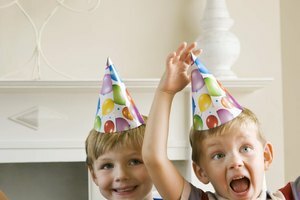 Synonym, https://classroom.synonym.com/acquaintance-party-ideas-for-schools-12530053.html. 29 September 2017.